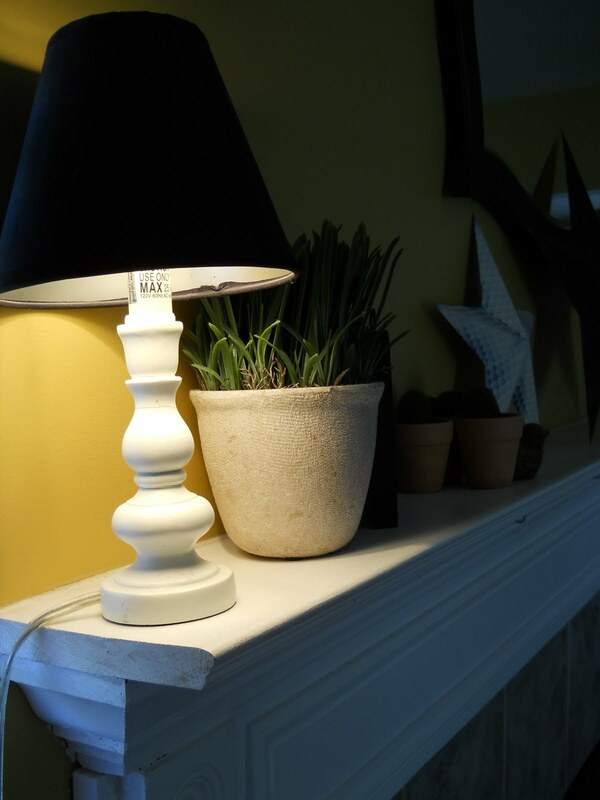 I love this little lamp. I got it at Target years ago on clearance for under 3 bucks. 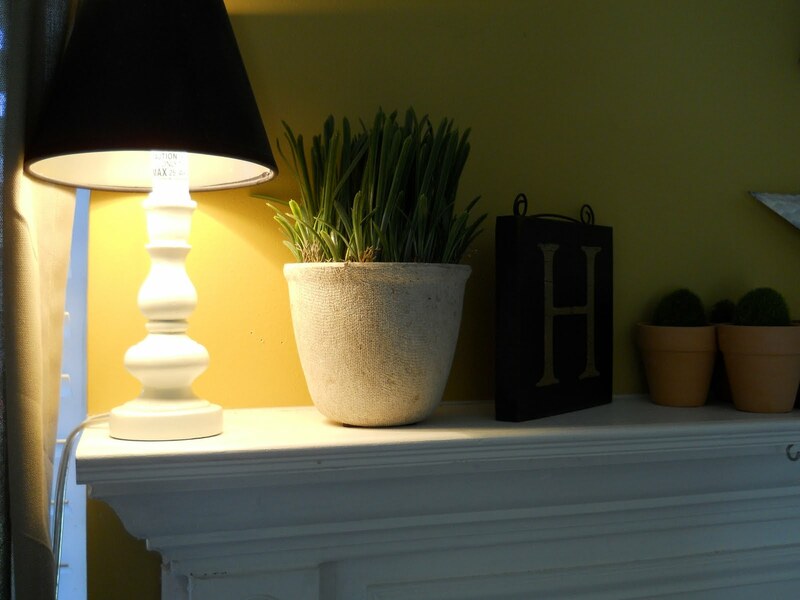 I may add some faux geraniums to this mantel before I link it up. But don’t get used to the above as it has changed a multitude of times. Then I wanted some color for the mantel so I painted these cute little birdie candle holders that I got from where else…Dollar Tree. And that seemed to do the trick. Almost. Then my good friend bought me the cute little 2 mason jar and I knew I had to use it on the “summer mantel”. So here it is, the final product. Then I couldn’t just leave well enough alone. So I painted the middle star red with my handy dandy spray paint. 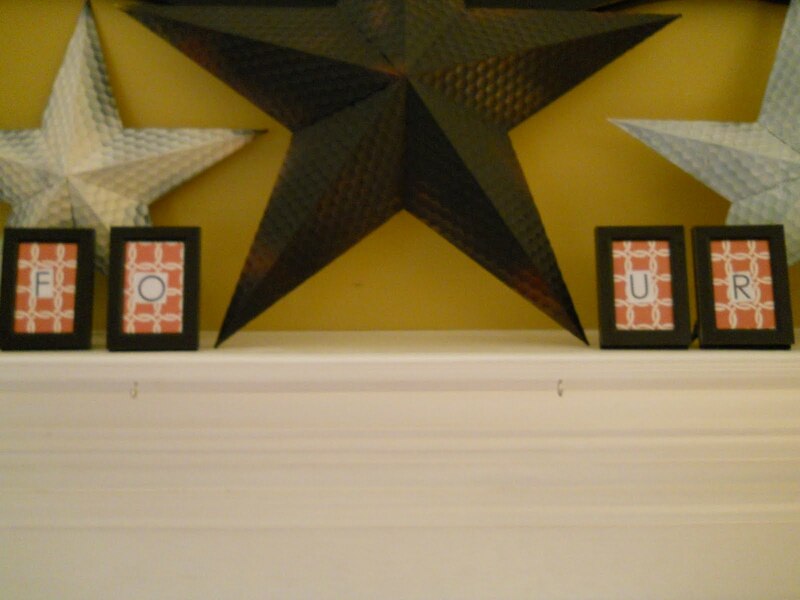 Your mantel is beutiful. I have a transitional living room and didn't know what to do with my mantel. I hope you don't mind if I copy yours. Not at all! 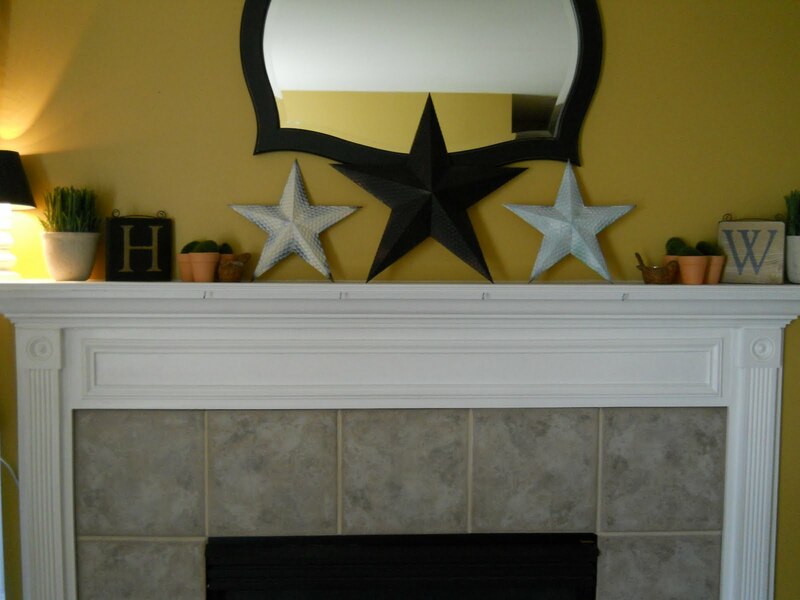 I am totally flattered..:) I have a hard time with decorating my mantel for the summer and spring months too so I am glad this gave you some inspiration! Thanks for stopping by Judy!! So pretty! Love the colors and textures! I saw you through a link party and had to check it out! this looks great! Wow you did such a nice and beautiful job! I am your newest follower and would love it if you would check out my blog and follow me too! Thanks! I love the red, yellow, black and white all together. I feel like I'm always tweeking everything. It's fun! Thanks for linking to the party and I hope to see you again this week. I love it, Kari! 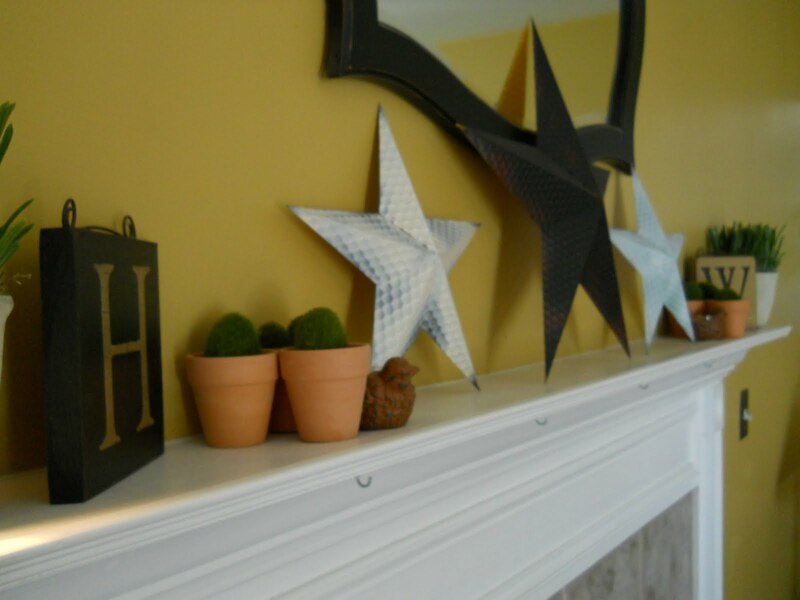 The yellow accents really pop against your mantel! Thank you for linking to my party. Remember it runs until the 25th, so you're welcome to post more projects!